It's becoming a habit! 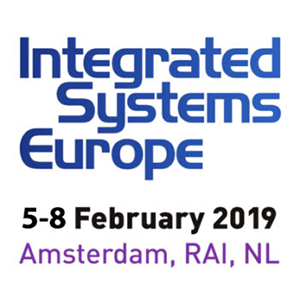 For the second year in a row we'll be hosting our own booth at Integrated Systems Europe 2019, You'll find Booth 8-E445 packed with all types of interactive technology - touch, beacons, RFID, IoT, etc. - and with many of the Intuiface Experts you've come to know and - possibly - even love. We'll deep dive on any topic that interests you plus we'll showcase our latest innovations and research. Remotely Controlled Signage Wall: Illustrating the use of websites on mobile devices and cloud-hosted services like Google Home to manipulate content represented on non-interactive displays. Interactive Changing Room Mirror: Enabling shoppers to browse additional products via touch while trying on garments. The mirror is doubling as an interactive display. Tablets in the booth receive garment requests, simulating the role of store personnel. Retail Product Customizer: An example of lift-and-learn - or, in this case, place-and-learn - through the use of RFID tags. Place a selected shoe and color samples on a smart board to visualize the resulting combination. Trade Show Analytics: We monitor foot traffic and experience usage in our booth, displaying collected data in real-time via a live dashboard - all accomplished through the use of Intuiface Analytics. Content Creation Demos: For everything in the booth and more, we lift the curtain to show you how it was created. There are no tricks and no coding. You can build everything we've displayed yourself! 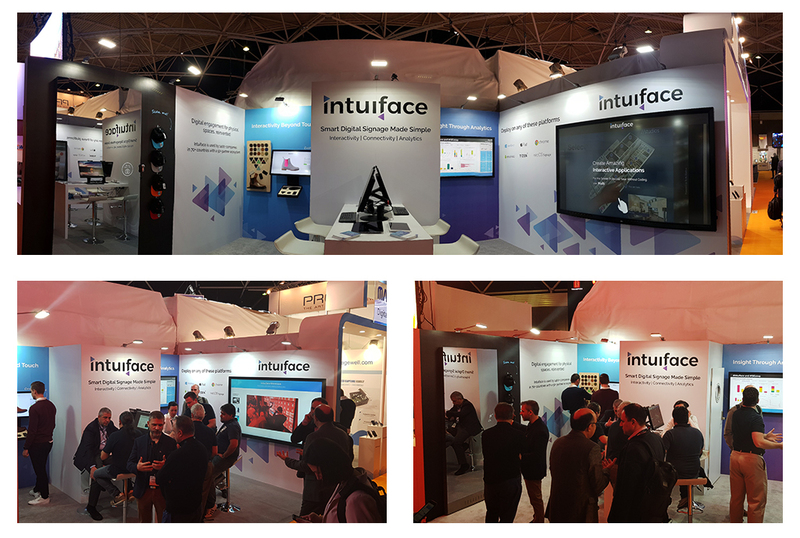 BONUS: To join us at ISE means you're already in Amsterdam, so how about also attending our first annual Intuiface User Conference? It's on February 6, just down the road from the RAI. Click here for more information. DOUBLE BONUS: Enter invitation code 248369 when registering for ISE and your ISE ticket will be FREE!